Beauty and wellness are now terms which have become inseparably linked. No longer is beauty defined by what is skin deep and by creams or cosmetics which can be applied. People know that skin appearance can be dramatically improved by such things as reducing stress or increasing one’s energy. Wellness is understood to mean beauty because what is well and good on the inside also shows on the outside. The Chinese have long known this and ‘de-stressing’ through meditation, acupuncture and also consuming collagen through their food has occurred for centuries. They know that wellness delivers beautiful, clearer and younger looking skin just as, if not more, effectively than cosmetic products. Having this holistic approach to wellness and beauty can now be seen in the daily beauty regimes thoughout Europe and the US, where cosmetic rituals are being taken over by health foods, superfood beauty powders, probiotics and healthy daily supplements. It’s this promise to makeover your complexion from the inside-out which is making the consumer change their buying habits to choose a more natural and healthier option, for themselves and for the environment. 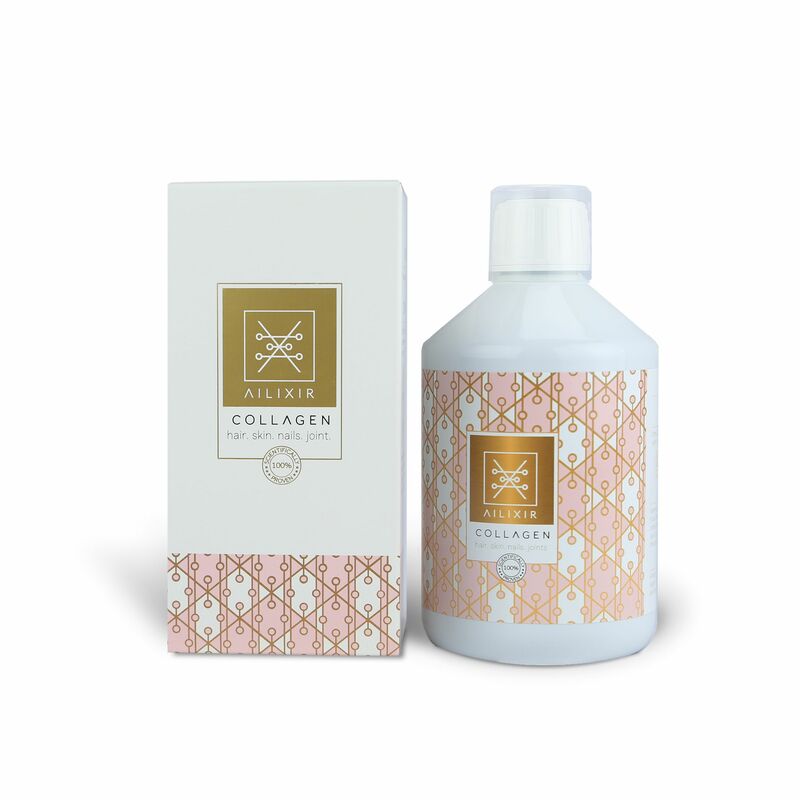 Ailixir range of collagens aren’t just good for your skin, they also contribute to healthy hair, nails, teeth and bones. The minimum amount of collagen peptides to consume daily is 5,000mg (5 grams). 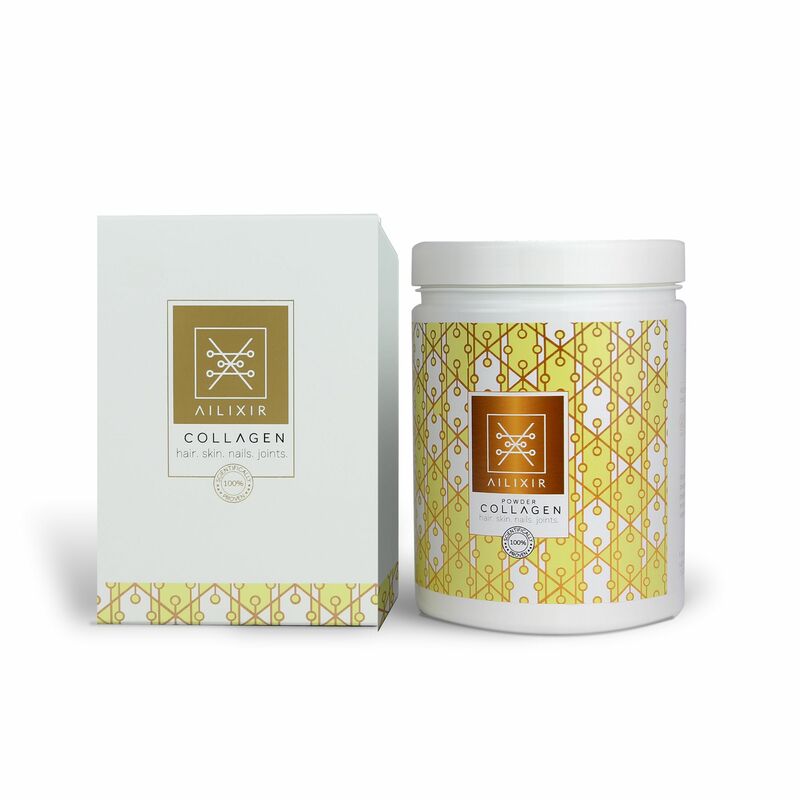 In order to ensure you receive the full benefits of the collagen peptide, we pack 10,000mg of collagen into our products, making it a leader in the field for nutritional value and maximum effect. Clinical studies show taking 10,000mg (10 grams) collagen peptides/day over 8 weeks can improve hydration, elasticity and smooth out fine lines and wrinkles. Our collagens are scientifically proven to be effective. If a collagen supplement is poorly absorbed, it will have no effect. That is why Ailixir produce the best type of collagen drink using the finest quality ingredients, designed to help you drink your way to younger-looking skin. It can boost your body’s natural collagen production and replenish the collagen you lose during the aging process. Most people see improvement in their skin within a few weeks to a month or two. The complementary ingredients we add to our products maximize the absorption of collagen as well as provide powerful and effective anti-aging benefits: reduce fine lines and wrinkles, increase hydration and firmness, and protect your skin from free radical damage. Contains: 10,000mg of hydrolysed collagen which is packed with amino acids and Vitamin C, Vitamin B5, Vitamin B7, Vitamin B6, Vitamin B12 and copper. The flavours are from concentrates orange, apple, mandarin, guava, papaya, lime, mango, pineapple, and grape. This collagen liquid enhances skin beauty and contributes to the maintenance of normal skin tonicity. Vitamin C contributes to normal collagen formation for the normal function of skin and copper contributes to maintenance of normal connective tissues. Vitamin C contributes to normal collagen formation for the normal function of skin. Your body needs vitamin C to help it make bones, cartilage, skin and muscles (including your heart), ligaments, tendons and blood vessels. Vitamin C plays an important role in the synthesis of collagen for new skin. Higher vitamin C intakes are associated with lower likelihood of a wrinkled appearance. Vitamin B5 is not retained within the body and therefore is required as a supplement. It has many beneficial properties to the body but More than anything else, vitamin B5 helps keep the skin healthy and attractive in appearance. It also helps delay the appearance of premature aging signs on the skin like wrinkles and age spots. Studies have also shown that it plays an important role in the pigmentation of hair and prevents it from losing its colour until you are well into your older years. Vitamin B7, also known as biotin. Biotin is an essential component for maintaining good health of the skin and hair. It is also beneficial for keeping nails in good condition. Biotin helps in the growth and maintenance of muscle tissues and repairing these tissues in case of any type of damage. Vitamin B6. One of the most remarkable benefits of vitamin B6 is that it helps to maintain flawless skin. If you want to prevent premature aging signs, then vitamin B6 is one of the best natural ways to slow down the appearance of fine lines and wrinkles. Vitamin B12 is a water-soluble vitamin that you must obtain through diet or supplements as your body cannot produce it. It’s responsible for many bodily functions and may benefit your health in various ways, such as by preventing major birth defects, supporting bone health, improving mood and maintaining healthy skin and hair. Vitamin B12 is involved in red blood cell formation. When vitamin B12 levels are too low, the production of red blood cells is altered, causing megaloblastic anemia. Vitamin B12 may play a vital role in your bone health. Low blood levels of this vitamin have been associated with an increased risk of osteoporosis. Maintaining adequate levels of vitamin B12 decreases homocysteine levels in your blood. This may help prevent the development of age-related macular degeneration. Copper contributes to maintenance of normal connective tissues. It also helps the body form collagen and absorb iron, and plays a role in energy production. Copper is an important nutrient that plays a significant role in the synthesis of hemoglobin, myelin, body pigment melanin, and collagen. It helps to protect the myelin sheath surrounding the nerves and is also actively involved in the production of elastin, an element of connective tissue that keeps the skin flexible. This also keeps your skin from looking older, by keeping it flexible and less prone to sagging and wrinkles. Specially formulated using type II hydolyzed collagen and other ingredients designed to support healthy joint function. Type II collagen is one of the main proteins in cartilage, the connecting tissue which protects the bones at the joints. Taking type II collagen may help with activity-related joint pain and inflammation and can improve the symptoms of osteoarthritis by stimulating your body’s production of joint collagen. MSM is often used to treat arthritis and to relieve pain or swelling from osteoarthritis or rheumatoid arthritis. Some studies also show that MSM may help with exercise recovery. Glucosamine and chondroitin, two popular supplements, do seem to relieve symptoms of osteoarthritis. Both are natural chemical compounds found in your body around the joints. 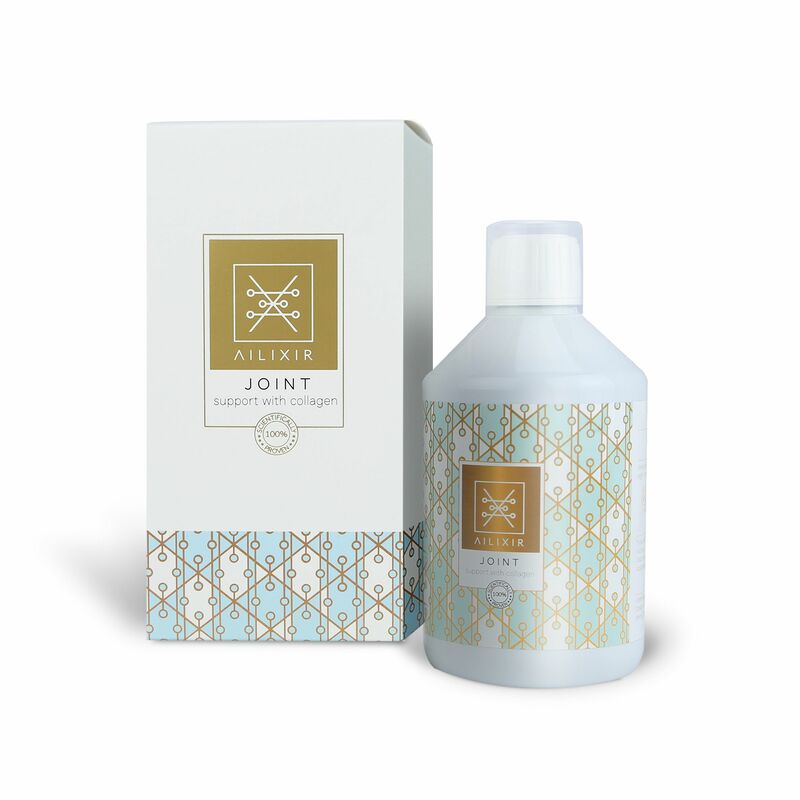 But as you get older, your levels of this compound begin to drop, which leads to the gradual breakdown of the joint. There's some evidence that taking glucosamine sulfate and chondroitin sulfate supplements help counteract this effect. Carnitine - L-carnitine is an amino acid (a building block for proteins) that is naturally produced in the body and helps the body produce energy. It is important for heart and brain function, muscle movement, and many other body processes. People take carnitine supplements for athletic performance. Vitamin C. Your body needs vitamin C to help it make bones, cartilage, skin and muscles (including your heart), ligaments, tendons and blood vessels. Vitamin C plays an important role in the synthesis of collagen for new skin. Higher vitamin C intakes are associated with lower likelihood of a wrinkled appearance. Turmeric is a superfood because it contains curcumin. Curcumin has powerful anti-inflammatory and antioxidant properties. It is these antioxidative properties which help protect the body from free radicals, believed to be the mechanisms behind aging and many diseases. Curcumin helps block the free radicals directly and stimulates the body’s own antioxidant defences. Green tea powder. According to the latest innovation in antioxidant research, green tea powder is packed with exponentially more antioxidants than any other ‘superfood’. Antioxidants are chemical compounds that prevent aging and chronic diseases. Vitamin D3 optimizes the skin's immune system and helps destroy free radicals that can cause premature aging as Vitamin D3 is found in the skin’s epidermal layer. D3 also performs many essential functions in the human body that typically relate to bone formation. These benefits include support for healthy levels of calcium and phosphate as well as dental health. Research shows Vitamin D3 is essential for strong bones and muscles, which is why it’s a featured ingredient in Ailixir Joint Support formulation.